Book Resources | Bernie Siegel M.D. Reflections on the Art of Living: A Joseph Campbell Companion – This is a great introduction to, or summation of, Campbell’s works. Most of his works are deep and can at times be difficult to access but well worth the effort. If you really want to probe the depths of Campbell’s work but are intimidated by his other books, this will give you a great overview and fire your desire to dig deeper. He is pithy, humorous, practical, fact filled, and inspiring. - This book is a groundbreaking work in the field of new biology, and it will forever change how you think about thinking. Through the research of Dr. Lipton and other leading-edge scientists, stunning new discoveries have been made about the interaction between your mind and body and the processes by which cells receive information. Using simple language, illustrations, humor, and everyday examples, he demonstrates how the new science of Epigenetics is revolutionizing our understanding of the link between mind and matter and the profound effects it has on our personal lives and the collective life of our species. The Psychobiology of Gene Expression – The Psychobiology of Gene Expression illustrates, step-by-step, how to facilitate a natural four-stage creative process on all levels from mind to molecule in our daily work of building a better brain. The book demonstrates how we can use our consciousness and our perception of free will to co-create ourselves in cooperation with nature. Rossi proposes practical approaches to optimize the natural cycles of gene expression in normal consciousness, sleep, dreaming, meditation, and the arts of daily living that are experienced by everyone. 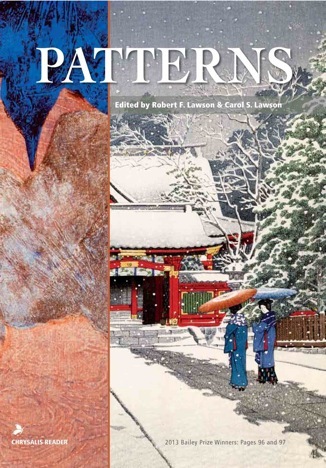 His lucid writing style and vivid illustrations inspire this text with a new vision of the creative arts, humanities, and culture in facilitating the optimal development of health, performance, and consciousness. Cancer Ward – Cancer Ward examines the relationship of a group of people in the cancer ward of a provincial Soviet hospital in 1955, two years after Stalin’s death. We see them under normal circumstances, and also reexamined at the eleventh hour of illness. Together they represent a remarkable cross-section of contemporary Russian characters and attitudes. The experiences of the central character, Oleg Kostoglotov, closely reflect the author’s own: Solzhenitsyn himself became a patient in a cancer ward in the mid-1950s, on his release from a labor camp, and later recovered. Human Comedy (An Hbj Modern Classic) – The place is Ithaca, in California’s San Joaquin Valley. The time is World War II. The family is the Macauley’s — a mother, sister, and three brothers whose struggles and dreams reflect those of America’s second-generation immigrants.. In particular, fourteen-year-old Homer, determined to become one of the fastest telegraph messengers in the West, finds himself caught between reality and illusion as delivering his messages of wartime death, love, and money brings him face-to-face with human emotion at its most naked and raw. Gentle, poignant and richly autobiographical, this delightful novel shows us the boy becoming the man in a world that even in the midst of war, appears sweeter, safer and more livable than out own. The Compassionate Life: Walking the Path of Kindness – How can compassion, a trait hardwired into our nervous system and waiting to be awakened, transform our lives and the world at large? Marc Barasch provides up-to-the-minute research to timeless spiritual truths, and weaves a stirring, unforgettable story of the search for kindness in a world that clearly needs it. With unfailing curiosity, Barasch poses vital questions: What can we learn from exceptionally empathetic people? Can we increase our compassion quotient with practice? What if the great driving force of our evolution were actually “survival of the kindest?” He comes up with challenging, ultimately inspiring answers. Barasch blends hard science and popular culture with his own hip, engaging narrative style to create a smart, provocative argument that a simple shift in consciousness changes pretty much everything. Thou Shalt Not Be Aware: Society’s Betrayal of the Child (See all Child Psychology Books) – Miller parts company with Freud on the origins of children’s fantasies in this progressive study of repressed memory. Forget the Oedipus complex. Miller reasons that when children suffer abuse, their feelings of pain and rage have nowhere to go in a society that esteems parental power over them as a natural right. Children have no choice but to internalize the anguish, creating a wellspring of fantasy material. This book offers a fresh take on how the unconscious retains memories of childhood and, without appropriate intervention, generates emotional ills and destructive behavior. –This text refers to an out of print or unavailable edition of this title. Toward A Meaningful Life The Wisdom Of The Rebbe – Toward a Meaningful Life is a spiritual road map for living based on the teachings of one of the foremost religious leaders of our time: Rabbi Menachem Mendel Schneerson, head of the Lubavitcher movement and recognized throughout the world simply as “the Rebbe.” The book gives Jews and non-Jews alike fresh perspectives on every aspect of their lives — from birth to death, youth to old age; marriage, love, intimacy, and family; the persistent issues of career, health, pain, and suffering; and education, faith, science, and government. We learn to bridge the divisions between accelerated technology and decelerated morality, between unprecedented worldwide unity and unparalleled personal disunity. Purple: A Parable – The poem “Purple,” which was once a postcard “chain-letter” that traveled around the world, is now an illustrated book rich in color and meaning. This powerful parable touches each person’s creative truth, which can survive even in the face of childhood cruelty. Page by page, Diane Katz’s illustrations take the reader ever deeper into the inner child’s profound experience. Included in church sermons, educational texts and Bernie Siegel MD’s Love, Magic & Mudpies, this story has lasting emotional impact. From Stage IV to Center Stage – Denise DeSimone shares the truth about healing one’s life and how the body responds to the healing and the love of one’s life and body. Her life is an example of survival behavior bringing together her mind, body and spirit through her action, wisdom and devotion. 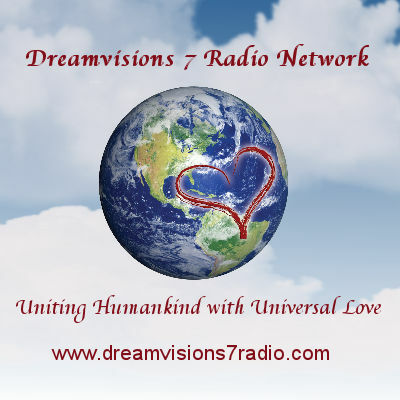 Denise shows us through her words and deeds how to create order, the rainbow, and transform your life, the butterfly. Reading this book can be a guide for anyone facing one of life’s difficulties. If you have the courage and are willing to show up for practice and not fear change and failure then let this book become your coach and guide you to a healed life. Brain Power: Improve Your Mind as You Age – Virtually everyone fears mental deterioration as they age. But in the past thirty years neuroscientists have discovered that the brain is actually designed to improve throughout life. How can you encourage this improvement? Brain Power shares practical, state-of-the-evidence answers in this inspiring, fun-to-read plan for action. The authors have interviewed physicians, gerontologists, and neuroscientists; studied the habits of men and women who epitomize healthy aging; and applied what they describe in their own lives. The resulting guidance — along with the accompanying downloadable Brain Sync audio program — can help you activate unused brain areas, tone mental muscles, and enliven every faculty. The book demonstrates that survival behavior is effective for all types of problems from cancer to how our brain and body functions. Enjoy Every Sandwich: Living Each Day as If It Were Your Last – As medical director of the famed Preventive Medicine Research Institute, Lee Lipsenthal helped thousands of patients struggling with disease to overcome their fears of pain and death and to embrace a more joyful way of living. In his own life, happily married and the proud father of two remarkable children, Lee was similarly committed to living his life fully and gratefully each day. The power of those beliefs was tested in July 2009, when Lee was diagnosed with esophageal cancer. As Lee and his wife, Kathy, navigated his diagnosis, illness, and treatment, he discovered that he did not fear death, and that even as he was facing his own mortality, he felt more fully alive than ever before. In the bestselling tradition of Tuesdays with Morrie, told with humor and heart, and deeply inspiring, Enjoy Every Sandwich distills everything Lee learned about how we find meaning, purpose, and peace in our lives. How to Cope Better When You Have Cancer – William Penzer wrote this book to help family and friends of cancer patients. He calls them “Heart and Soul Givers.” Although he wasn’t originally planning to write a book for patients, several people who read it encouraged him to write “How to Cope Better When You Have Cancer.” Bernie Siegel, M.D. wrote a strong, empowering, and comprehensive Foreword for the latter book for the patient. Bill wandered into what he calls Cancerville when his 31-year-old daughter was diagnosed with breast cancer in 2005. Her journey and survival taught him how to take on the demands of Cancerville, find times of hope and optimism, and heal. Each chapter in the book for the patient concludes with a “Real People Facing Cancer” section that inspires the very beliefs and feelings Bill is encouraging. 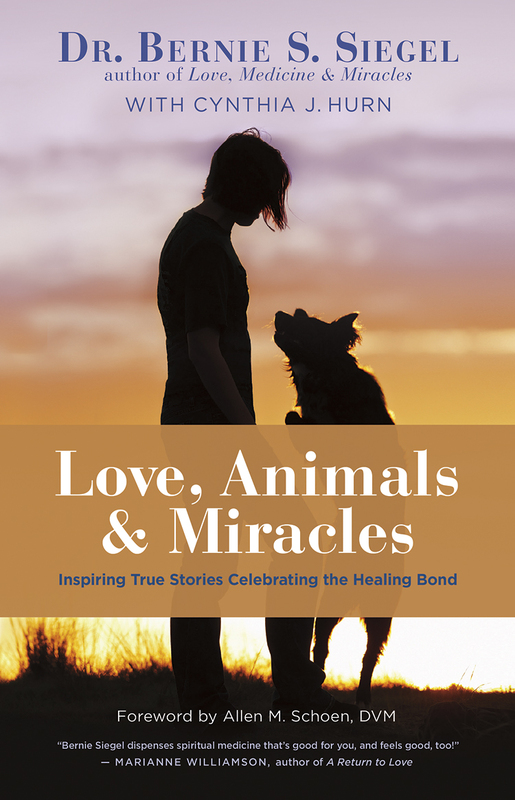 Taken together, these companion books form a strong support net for family, friends, and the patient that allows them to speak a common language and to ride together through Cancerville on a horse named Hope and to remain STRONG! Healing: Cancer, Heart Disease & More – Jerry Rhine has written a book about innovative self healing techniques based on new research in psycho-neuroimmunology which uses imagery reverses life threatening illnesses. Jerry, a 20 year survivor of advance heart disease and 10 year survivor of B-Cell Non Hodgkin’s Lymphoma Cancer, has used these techniques to overcome the emotional and physical pain he battled with these diseases. Visit his website at: http://www.hopefulcare.com. 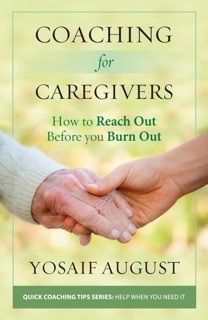 Yosaif’s most recent book, Coaching for Caregivers: How to Reach Out Before You Burn Out, was written for family caregivers and the professionals who support them. Bernie says, “If you’re ready to show up for practice, Yosaif’s coaching can help you and your loved one get the love and support you need.” For more information, visit his site at: http://www.yestolifecoaching.com/caregivers. Linda’s book, Wheelchair Wisdom™: Awaken Your Spirit through Adversity, shatters widespread notions of what it’s like to spend life in a wheelchair, which addresses the unique circumstances of the millions of people in wheelchairs. She wants to convey the message that lies at the heart of her convictions–that people are more than their wheelchairs, more than their disabled bodies. Wheelchair Wisdom™ bears testimony to what Linda has learned and experienced–that each of us, regardless of circumstances, can move through life with freedom in a creative and joyful way. Healing Within: My Journey with Breast Cancer came to be from MichaelKovarik’s journey with breast cancer. This healing passage evolved over a few years. It did not present itself right away, but transpired when he was ready for it to begin. First, he had to become conscious of this path and perfect a balance within. With his initial diagnosis, he gave full authority to his traditional doctors, a traditional drug therapy, and fear. It would take a second discovery of this illness to fuse him with his heart and soul. His journey to heal within drew him to a path reaching the deepest caverns of my being. It was a remarkable awakening of his ability to hear the whispers of my inner voice as it guided him to who he truly was to be. It is this disease, so grounded in dread and fear, that had the power to awaken him to his heart, his soul, and the quest they were guiding him to be part of. Its precious gift, life: a full life. In Victory over Autism, Mary Romaniec takes the reader through the personal stages parents will experience when their child is first diagnosed with autism, and shows how to become part of the next generation of proactive parents who are making a difference in the well-being of their children and families. Romaniec explores the stages of grief associated with the diagnosis, followed by an examination of the winning attributes parents should—and will—possess or adopt as they strive toward the goal of better health and full recovery for their child. Victory over Autism includes personal accounts of overcoming the autism odds, looking out for all family members, and addressing marriage issues, and explores ways of getting the parent into the mind-set that a victory over autism is a realizable goal. Conversations with an Angel is a new short novel designed to help anyone going through grief or loss and is now available as an e-book download (or paperback pre-order) by local CT author and photographer Charlie Siegel! It tells the story of a man going through grief at the loss of his brother. He is visited by an angel during a walk through Central Park, NYC, who lovingly explains to him the journeys of the soul through life and death, explained uniquely from the perspective of a soul in heaven. It is an eye-opening, uplifting and healing short story for anyone going through grief, designed to be a resource during those hard times, to help to heal. It is just a short read at about 90 minutes reading time, easy to gain the messages from quickly. The author was raised in a spiritual lifestyle with generations of family members spending lifetimes focused on studies of spirituality. Downloadable as an e-book on the Amazon Kindle Store for only $2.99, or free with Kindle Unlimited! Also available for pre-order as a paperback book in Wisdom of the Ages in Simsbury, CT by calling 860-651-1172. A Free preview is available through Amazon to check it out! Dr. Nauman Naeem’s new book, Healing From the Inside Out, challenges the common narrative of chronic illness. Patients who develop a chronic illness are too often led to believe that they will just have to accept their diagnosis. Medical professionals tell them their health will never improve—after all, that’s what makes their condition chronic. Instead, they will have to learn to manage painful and debilitating symptoms. In the book, which contains a foreword by Bernie S. Siegel, Dr. Naeem explains that not only is this mindset false, it is damaging enough that it can impede recovery. It stems from doctors who, overworked, stressed, and without enough time in the day to give each person the individual attention they deserve, see patients as statistics. It’s easy for doctors to neglect the spiritual and emotional side of healing. Healing From the Inside Out describes how the healing process involves harmonizing all aspects of your being. He discusses the mind’s central role in recovery. Negative thoughts can sabotage your healing journey. But Dr. Naeem teaches us practical exercises that focus on positivity and can initiate healing. Readers will discover the power of the mind to by transcend physical limitations. Straightforward, necessary, and fascinating, Healing From the Inside Out takes you on an incredible journey to the emotional, psychological, and spiritual roots of disease. Dancing with Cancer, by Judy Erel, focuses on the creation of a positive and proactive mindset with which to face the specific challenges and stages of cancer. It combines the author’s own experience of using what she calls Thought Work (including creative self-expression, healing energy work and meditation) with conventional cancer treatment in order to connect her intentions for healing to the everyday reality of a diagnosis of incurable bone-marrow cancer. The book offers guidance and inspiration not only to cancer sufferers as they undergo the various stages of treatment but also to those supporting them, enabling them to understand better the experience of the cancer patient as well as the possibilities of mind–body empowerment. 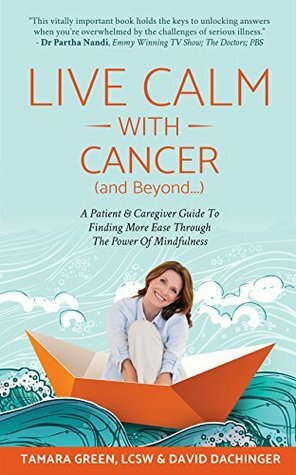 In Live Calm With Cancer (and Beyond…), stage IV cancer survivor David Dachinger and his wife, Tamara Green talk straight about their cancer journey and how using mindfulness tools and meditation can help you navigate the choppy waters of diagnosis, treatment and survivorship with more ease. The Pain Companion – Where do you turn when medication and medical treatments do not relieve persistent, debilitating pain? What can you do when pain interferes with work, family, and social life and you no longer feel like the person you used to be? Relying on firsthand experience with severe nerve pain, author Sarah Anne Shockley accompanies you on your journey through pain and offers compassionate, practical advice to ease difficult emotions and address lifestyle challenges. Her approach helps reduce the toll that living in pain takes on relationships, self-image, and well-being while cultivating greater ease and resilience on a daily basis. Dozens of accessible, uplifting practices guide you every step of the way from a life overcome by pain to a life of greater comfort and peace. The Pain Companion also offers profound insights for medical practitioners and invaluable guidance for anyone who loves or cares for others in pain. The Efficacy, Safety and Applications of Medical Hypnosis - This free research paper supports the efficacy of medical hypnosis. This compilation has been made available through the US National Library of Medicine National Institutes of Health. The Art of Dying Well: A Practical Guide to a Good End of Life will show you how to thrive (from the first inklings of aging or serious illness to your final breath) and adapt successfully to change. Packed with helpful insights and inspiring true stories, this practical and spiritual guide will help you get the best from our imperfect health system, avoid the excesses of technological medicine, and prepare for a death that is meaningful, sacred, and even beautiful. Using this handbook of step by step preparations—practical, communal, medical and spiritual—you and those you love can remain in charge, so that you die on your own terms and leave a good emotional legacy. The author, award-winning science journalist and Buddhist practitioner Katy Butler, drew on her own experience caring for aging parents, and on hundreds of interviews with medical experts and inspiring ordinary people who have helped those they love experience a better end of life. Inspired by the medieval death manual Ars Moriendi, or the Art of Dying, The Art of Dying Well is the definitive update for our modern age.